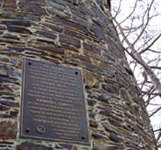 The Powderhouse ca 1703 – From Pawtucket natives and Puritan settlers, the Somerville area has a rich prehistory and history. 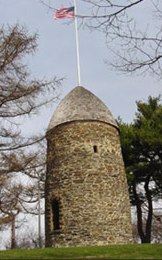 One historical example is the oldest industrial building in greater Boston — The Old Powder House. Built orginally as a windmill and for decades serving as a center for colonial commerce and society, this structure was later used to store gun powder before the Revolution. The Powderhouse is the center of the Chamber’s symbol.